Este amplio apartamento de 2 dormitorios está situado en el corazón de Londres, a poca distancia de Oxford Street, Regents Park y Hyde Park, el Museo Sherlock Holmes, Madame Tusseauds y muchas otras atracciones. La estación de Marylebone, la estación de Edgware Road y la estación de Baker Street están a 10 minutos a pie. El dormitorio principal tiene un baño y una cama doble. El segundo dormitorio tiene una cama individual. La cocina está equipada con nevera y congelador grande, horno, microondas, fogones, cafetera, hervidor de agua y tostadora. La lavadora con secadora también es para que usted la use. Se proporcionan todos los utensilios de cocina básicos. También hay un secador de pelo, plancha y tabla de planchar. El baño principal tiene champú, gel de ducha y lavado a mano. En el amplio salón, relájese viendo la televisión (canales gratuitos del Reino Unido o canales satelitales) o disfrute de la navegación por Internet con nuestro rápido y gratuito acceso Wi-Fi. Really nice flat in a great location. The flat has everything we needed. And the location is perfect. Shopping, food and transport all around. The hostess was attentive and helpful in all aspects of our visit. The place is very clean with a super good kitchen and bathrooms. And the bedrooms are on the quiet side of the building, while the sitting room is on street side. Perfectly thought out and planned. I hope to return! Second stay at the property. 41 Crawford this year and 40 last year. Very similar and great for us (a couple looking for space to spread out). Pub and restaurant choices are fine. Acess to Edgware and Marylebon tube is great. Baker St is a bit farther but no problem. Central Wash is handy if you need to knock out a few loads of laundry. 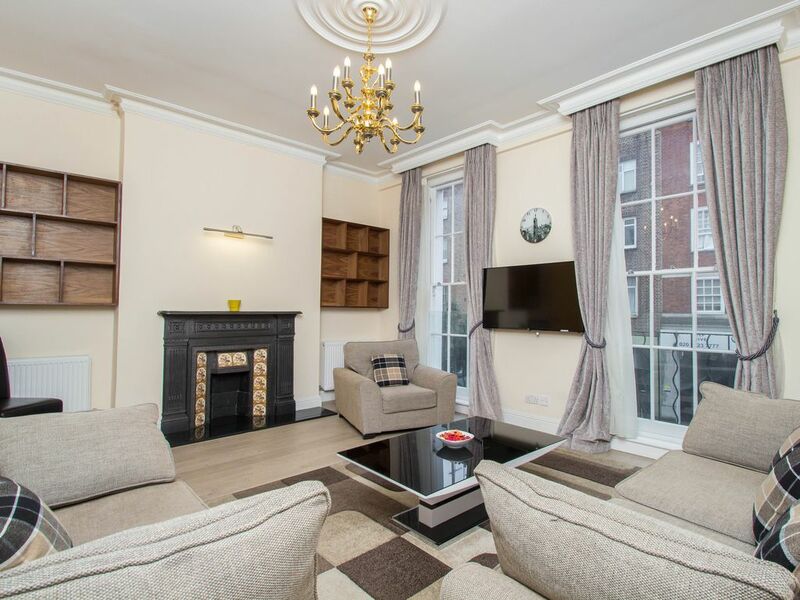 Updated flat in a perfect location! We stayed for four nights in May. The flat has been recently updated and is very clean. It’s in a great location- we pretty much walked everywhere each day! The bathrooms were very small and got quite wet when showering. Silvia was great and responded to any emails almost immediately (even with an 8 hour time difference!). She was very prompt when we met to give me the keys as well. Overall a great experience!